Florida’s Art in State Buildings Program was authorized in 1979 and was fully functional by 1984. The statute provides that up to one-half of one percent (0.5%) of the total appropriation for the construction of a state building that provides public access shall be used for the acquisition of works of art. This amount shall not exceed $100,000. The works are to be displayed or sited in public areas in the interior or on the grounds or the exterior of the building and not in private offices or areas with limited public access. The program and other local public art programs in Florida have teamed with non-profit foundations and private businesses to leverage state funds and acquire more and larger artworks. By collecting and displaying contemporary art, Florida public art programs are establishing a cultural archive for future generations. Strong and appropriate public artwork enhances our Florida’s image, says that citizens care about our public spaces and is an important element in spurring economic development and tourism. The state’s public art program has been a model and a catalyst for the creation of public art programs at the city and county level in Florida. While Dade and Broward Counties and the City of Tampa have long been known for their vigorous public art activity, other communities are recognizing the value of public art and are creating programs of their own ~ as indicated by the passage of public art ordinances in the city of Jacksonville and in Martin County.  The Florida Arts Council, through the staff of the Division of Cultural Affairs, is pleased to provide information, advice and assistance to any local entity for their public art effort. The program is administered by the Division of Cultural Affairs, Florida Department of State. The Division’s advisory board is the Florida Arts Council, a 15-member body appointed by the Secretary of State. The various state agencies that own and/or occupy these buildings include the ten universities of the State University System, the Department of Transportation, Department of Management Services, Department of Health, Department of Highway Safety and Motor Vehicles Transportation and Department of Military Affairs. Some buildings, such as prisons or laboratories, are exempt because of limited public access. Projects at the state universities are administered by a person appointed by each university president. That person then submits regular progress reports to the Division of Cultural Affairs. All other agency projects are administered by an arts administrator in the office of the Division. Selections of artwork are made by Local Art Selection Committees, whose members are drawn from the community in which the artwork will be sited. What is selected for an urban or university project may be very different from what is selected for a more rural environment. As a result, Florida’s Permanent Collection of Art is admirably diverse with a wide variety of styles, media and subject matter. The Committees select artwork through a “blind review” that is based on the quality and appropriateness of the art, eliminating even the perception of favoritism. Yet over 60% of the works selected this way are by artists who live in Florida, illustrating that our state has many talented artists who can compete easily in an open arena. For each project, a The Local Art Selection Committee is formed to select the works of art. Its membership consists of a Florida Arts Council member (from the region of the state in which the building is located), the Project Director (from the agency which is constructing the building), the Architect (from a private firm), the User Agency Representative (from the state agency which will occupy the building), the Occupant Representative (chosen from those who will actually work in the building), one or two Visual Art Representatives (local professionals with visual art expertise: museum officials, art and/or art history professors, artists, etc.) and the Division of Cultural Affairs ASB Program Administrator. The Local Art Selection Committee members with voting authority are the Architect, the User Agency Representative, the Occupant Representative and the Visual Art Representatives. While the various state agencies are the custodians of the works of art with maintenance and security responsibilities, the artworks purchased under this program constitute the collection of the State of Florida and therefore belong to the citizens of the state. Each project is advertised nationwide and, therefore, the collection contains artwork by some of the best artists from Florida and around the country. The State of Florida Art Collection acquired through the Art in State Buildings Program is considered to be a vital resource which serves both as a cultural archive for future generations of citizens and as an important element in our state’s present quality of life, spurring critical economic development and tourism. The Division of Cultural Affairs and the Florida Arts Council may in the future develop a slide library or registry where artists may submit slides annually or bi-annually and be considered for appropriate projects. Currently, we send out, every three to six months, a mailing that describes the projects (Call to Artists) and interested artists then send in separate entries for the individual projects that are compatible with their work.